Cambridge Filmworks 6-part TV series The Ride London to Beijing is proving a hit on Amazon with 5 star reviews. The series charts two times guinness world record holder and world-renowned endurance rider Kevin Sanders as he attempts to gather up a team of novice bikers, train them and lead them on the very first motorcycle expedition to attempt a Trans-Asian crossing via Mount Everest from London to Beijing – a staggering 21,000 kilometers. Amazon reviewers have described the series a fantastically ‘binge worthy’ reality series and one of the ‘top shows to watch this winter’. 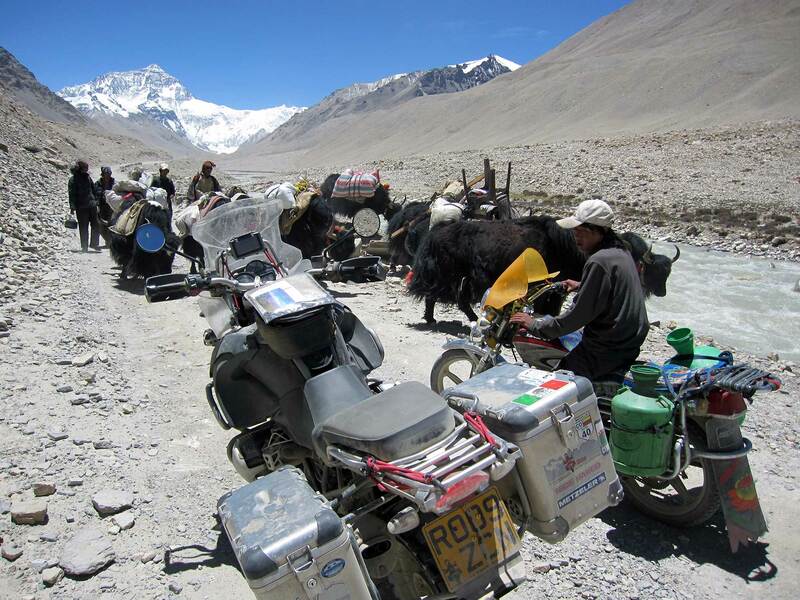 This unique extreme endurance adventure takes the group of 11 wannabe adventurers into some of the most hazzardous and stunning terrains on the planet – riding over the worlds highest navigable passes where sudden altitude sickness can kill, through avalanche prone mountains ranges, landslide stricken dirt highways, across deadly swollen rivers and through some of Asia’s most dramatic cities. Filmed in eye watering detail the series follows the riders as they attempt to cope on one of the world most extreme overland challenges.